Rounding out the epic week that is IR BCN will be a very special vinyl-only celebration. 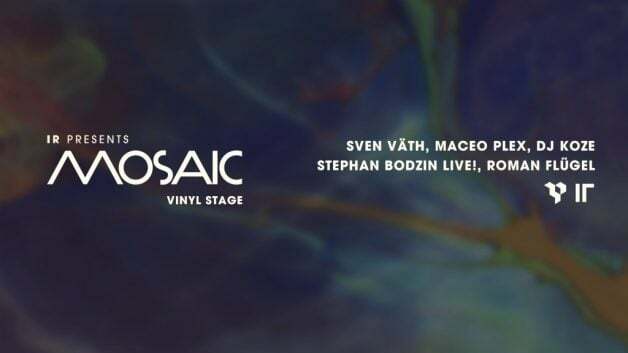 Organized and curated by Ellum main man Maceo Plex, Mosaic by Maceo will bring a lineup of heavy hitters to Barcelona, including Cocoon boss Sven Väth, the elusive DJ Koze, as well as producer extraordinaire Stephan Bodzin, and Frankfut’s Roman Flügel. The event will take place at the majestic Plaza Mayor, which is a reproduction of the Riaza Castilian Square in Segovia, a space that allows multiple activities at all hours of the day. Plaza Mayor will play host to the weekend’s activities, which also will see Ricardo Villalobos’ FRRC on Saturday, 18 June.